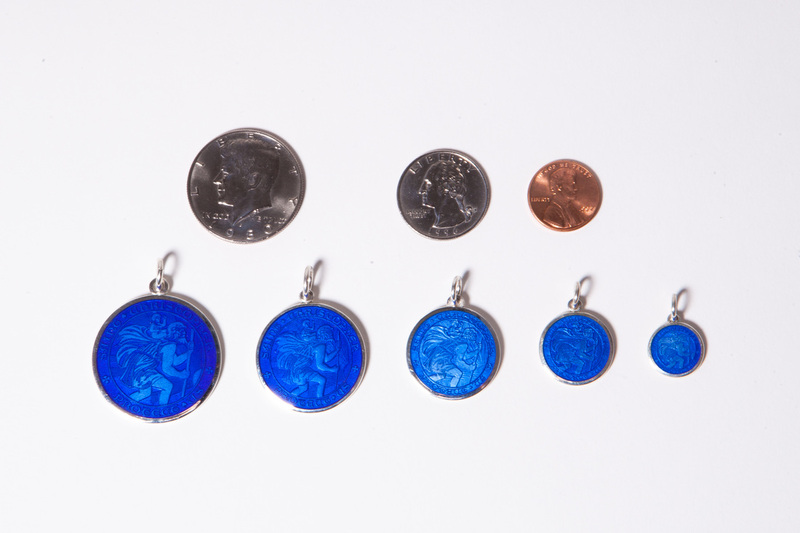 St. Christophers come in five sizes: Jumbo 1 5/8'' (in limited editions), Extra Large 1 ⅛'', Large 7/8'' which is the same size as a quarter, Medium ¾'' which is the same as a penny, and Mini ½''. St Christophers are worn on a variety of silver chains, and are also popular on colored silk cords. As he is the Saint of safe travel, they are also used on key rings and as dashboard medals. There are a variety of options when it comes to St. Christopher. 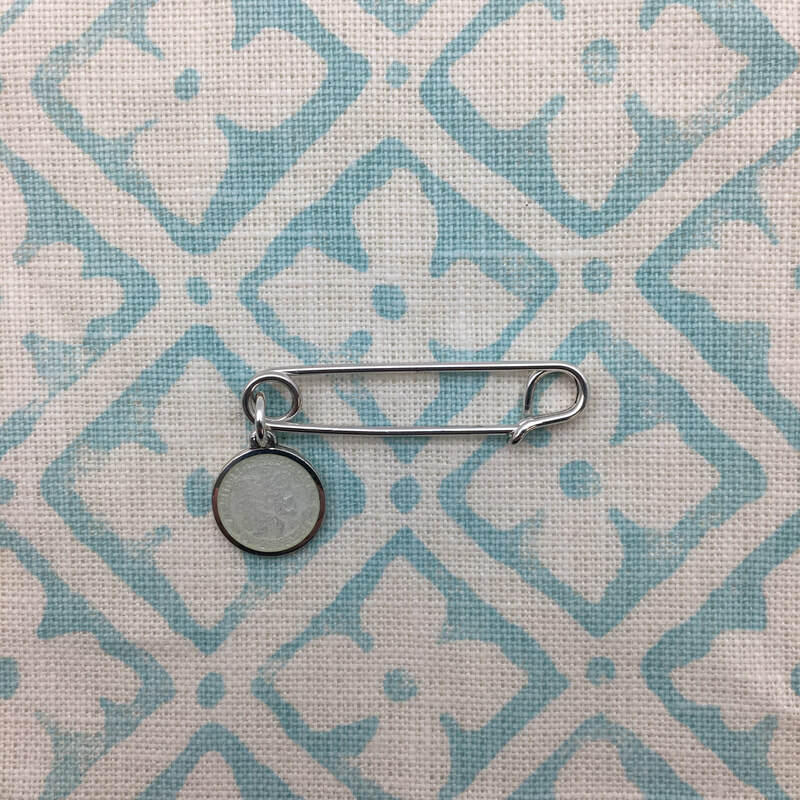 From cufflinks to dashboards, and even on a diaper pin to pin to your baby's car seat. Visit one of our shops to see them all. 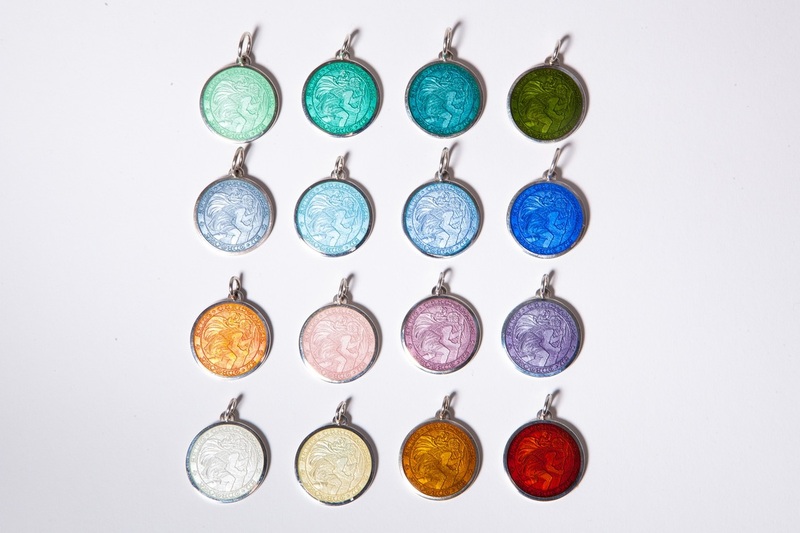 Our sterling silver St. Christophers come in a wide selection of hand enameled colors. 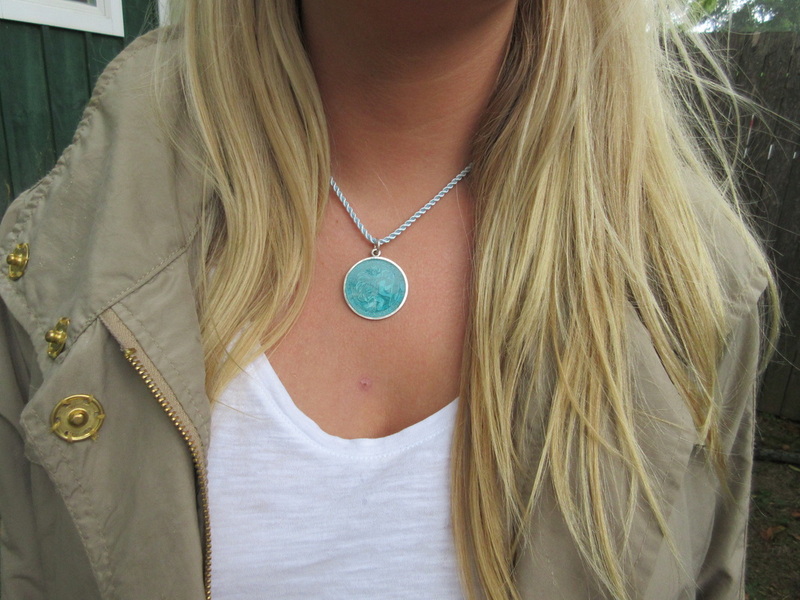 The enamel is created from colored glass. In essence, the image is viewed through a kind of stained glass window. Due to this hand made nature, colors vary and may appear different depending on the size of the disk. Our medals are also made in 14kt gold, but are not emameled. Though quite durable, chipping of the glass enamel is not an impossibility. Colors: Light green, jade, aqua, dark green/grey, light blue, French blue, royal blue/ tangerine, pink, lavender, purple/ white, yellow, brown, and red. Our St. Christpher medal is made for us by the same New England firm for over 75 years and is identical to the ones our grandfather sold when he opened his shop in 1941. The image was created by the company's founder in the 1930's and has remained unaltered ever since. 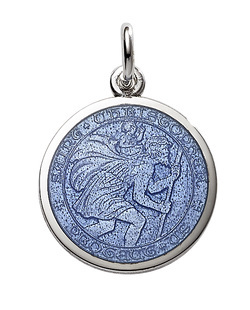 The motto reads "St. Christopher protect us" with the image of Christopher ferrying the Christ child on his shoulders as his crosses an otherwise unfordable river.